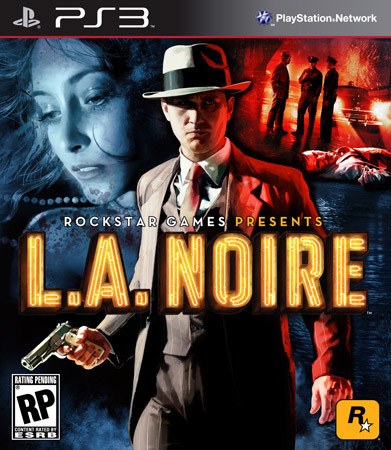 LA Noire is mash up of a game. At times it's Heavy Rain at others it's Grand Theft Auto played from the other side of the law. Anyone who's ever touched GTA or Red Dead is going to feel immediately comfortable with the controls but rather like Red Dead you play the game with responsibility, but this time you don't have a lot of choice. Initially playing as a cop in 1940s post war Los Angeles feels restrictive. The freedom of the sandbox is still there to a degree but there's none of the wanton destruction of it's forefather and it feels like Rockstar might have got things wrong. Then you interrogate your first suspect and everything changes. The game lives and dies by one of the simplest conceits I've ever seen in a game. Is this person telling the truth? You only ever have three choices: truth, lie or doubt. In lesser hands this would have failed but the facial animations are staggering and the voice acting is the finest I've heard in a game. You take your pick based on what they say, it's incredibly easy to get it wrong and make the suspect clam up on you. You wonder how far, given more time, this could have been pushed and whether the whole thing could have been written around one case. You never entirely feel like you can get it so horribly wrong that you'll be forced to give up. The game lets you off the hook a little too much and I would have liked to have seen Cole forced back out on the streets to gather more clues, rather than have him driven along by the narrative. But essentially that's a small gripe because, make no mistake, this is ground breaking tech in your console. Each of the cases plays out in similar fashion. Investigate the scene, gather clues, question suspects and finally press charges. It could, and should, feel repetitive but it's so well delivered that you start to enjoy the rhythm of the game, particularly during the cases you work while on the homicide desk. It pulls no punches, the language is believably strong and the imagery throughout, including the investigation of dead bodies, doesn't hold back. Moving the head of a battered victim to see the lesions on her neck a little better is a genuinely horrible feeling. The story ticks along nicely, gently introduced and then to the fore in the later stages, using flashbacks to the war Japan and Newspaper articles to fill in the gaps. The lead, Cole, is actually not that likeable to begin with. It's a brave step to not make him cool by Rockstar and the only misstep later in the game is to try and make up for that. They really didn't need to. You earn intuition points as you progress which can be used to remove one option during interviews, but I rarely did. I got used to needing evidence to back any claim of a lie and was regularly checking Coles notebook to see if my gathered clues matched the questioning. You can also ask what other players went for in a sort of 'Ask the Audience', which is the only nod to online. Co-op would have been a nice addition here as most cases involve Cole and a partner. LA itself is wonderfully recreated. Pop up is an occasional annoyance but for the most part the City feels vibrant and alive and a real step up from GTA4. Although there's essentially a lot less going on on the streets, that has allowed the developers more time to work on the detail and the result is a city that really breathes and is full of character. As well as the actual cases there are forty smaller ones that pop up while you're driving which you can choose to respond to. In the early stages they are often your only opportunity for some gun play and they help to flesh things out a little but for the most part they feel a bit unnecessary and out of place. The game desperately needs a free roam mode, where you could just take Cole out in a car, without feeling you have to be somewhere 'now' all of the time. LA Noire is, I'm sure, going to be a new franchise for Rockstar. It pushes boundaries without raising the heckles of the tabloid press and delivers a near seamless and believable experience that, like a good book, is impossible to put down. Nobody else delivers a sandbox like Rockstar do and even when they take away some of our toys they give us shiny new ones which are better than anything we had in the past. You might not be able to jump of a skyscraper on to the spinning blades of a helicopter but... no, actually, I really missed that.